Remove the radiator surge tank. Refer to Radiator Surge Tank Replacement. 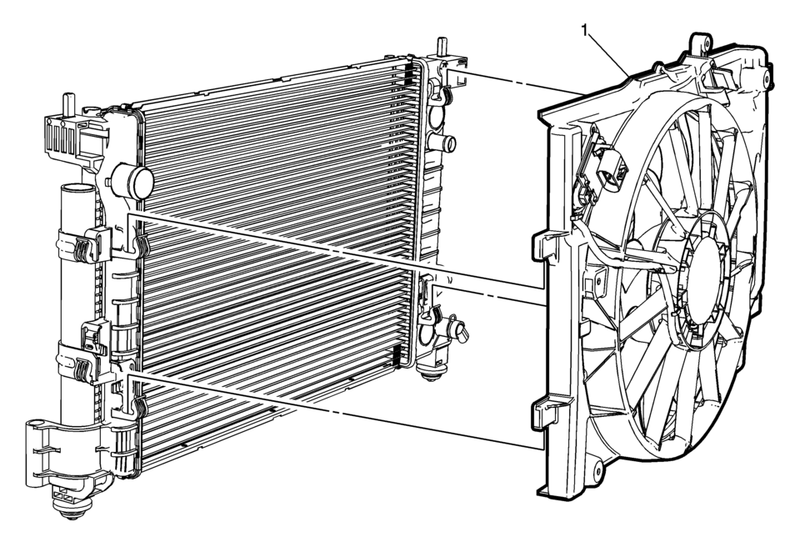 Unclip transmission cooler lines from shroud if equipped. Unclip radiator surge tank outlet hose from fan shroud. Disconnect any electrical connecters from the fan shroud. Unclip engine coolant fan shroud from radiator.